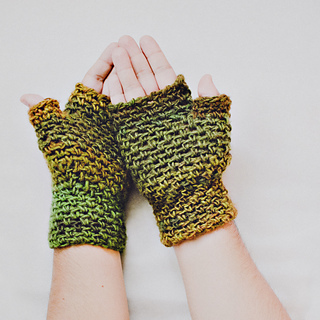 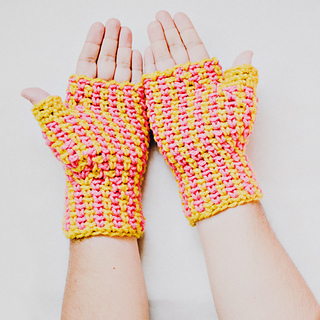 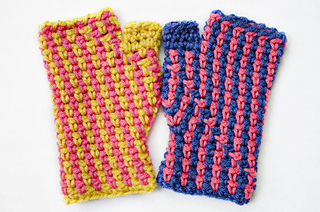 A crochet pattern for a simple woven stitch wrist-warmer/fingerless mitten. 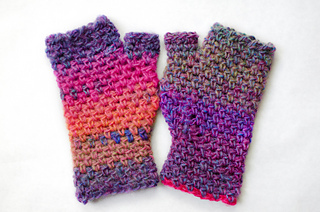 Changing colors every row creates vertical stripes! 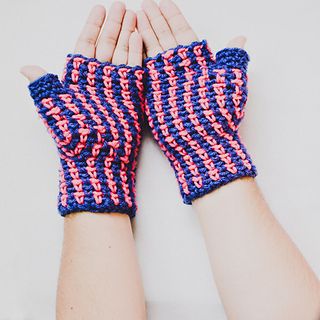 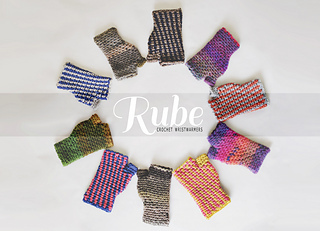 The pattern only has instructions for one size, so adjustments can be made by changing hook size and/or yarn.